The Dali Museum is located in Montmartre which displays famous works of the eminent artist Dali. This is a permanent exhibition and you will find the famous works of the master of surrealism- Salvador Dali. Right from his sculptures, engravings and paintings, you will find everything under the roof. The most creative of Dali’s sculptures are found in this Paris museum. Dali creative genius has given the sculptures their third dimension. Salvador Dali was one of the most influential surrealists in the history of art. Paris as the pioneer of artistic movements houses some of the most precious works by Salvador Dali. Each of the sculptures reflecting Dali’s surrealistic ideas and philosophy are masterpieces. Dali always wanted to capture his thoughts and ideas in the form of sculptures. Those sculptures are present in this museum. You will marvel at the works of Dali. This is a rare collection of Dali’s sculptures where you will lose yourself and be compelled to praise this master of surrealism. You will find unique Dali images on some of the major themes like religion, mythology, history and literature. Dali has left behind a vast repertoire of images, sculptures and etchings as well. These etchings can only be found in this Dali Museum in Paris. So, if you are a follower of Dali then you cannot afford to miss it. 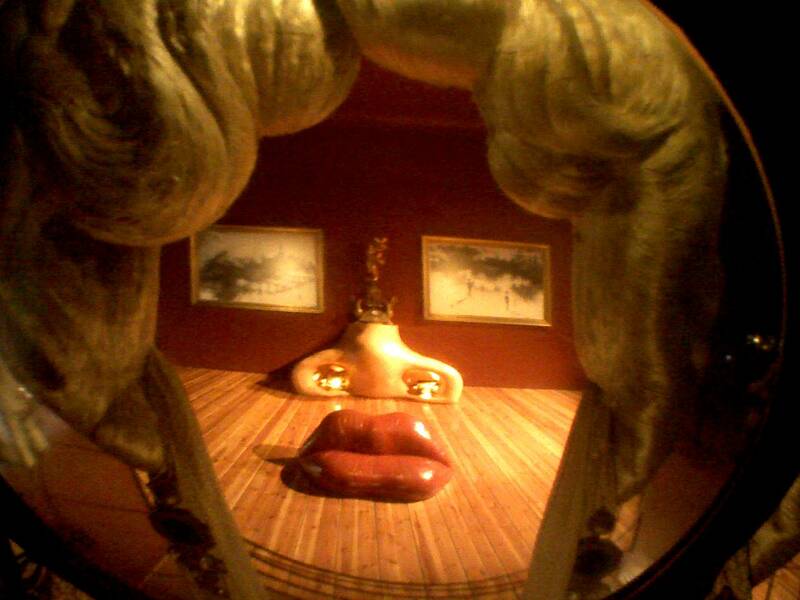 Some of the masterpieces of Dali include the Space Elephant, Alice in Wonderlands, Romeo and Juliette, Limp Watches and the Mae West Lips Sofa. These can be seen inside this museum. You can roam inside the museum by yourself or you can also seek a guide who will explain the works of art. A guided tour is the recommended one if you wish to explore the mysterious world of Salvador Dali. Private exhibitions can also be arranged inside the museum for groups of adults. Separate guided visits can be conducted for children where they can discover the interesting and unique world of Salvador Dali- one of the most famed surrealist artists in the world. The Art Gallery as an extension to the exhibition will also provide you an opportunity to peek into Dali’s mind through his paintings and engravings. The gallery is wonderfully decorated with beautiful paintings and you will get a panoramic view of Paris from this gallery. It is absolutely breathtaking. There is a store from where you can buy unusual and exclusive gifts for your friends and family. Post cards, T-shirts, posters, lithograph, books and the list just goes on from which you can select the ones which you will gift someone. The theatrical settings are lent for private and professional parties. Celebrate within the surrealist world of Salvador Dali. This entry was posted in Paris Museums and tagged museum dali, The Dali Museum. Bookmark the permalink.